Always a fan of the weekend, as you all know. Today I'm just kind of hanging out before going to a friend's birthday party later. Should be a good time had by all. But at the moment, I'm bringing you those review articles that I know you so desperately desire. Today we have: Mechs vs. Minions, Gorechosen, Star Trek: Panic, Happy Party, Hit Z Road, Dastardly Dirigibles, Loony Quest, Eclipse, Battle of the Bands Review, The Pioneers Program, Pocket Quest, Oh Gnome You Don't, and Arena of the Planeswalkers: Shadows Over Innistrad Expansion. 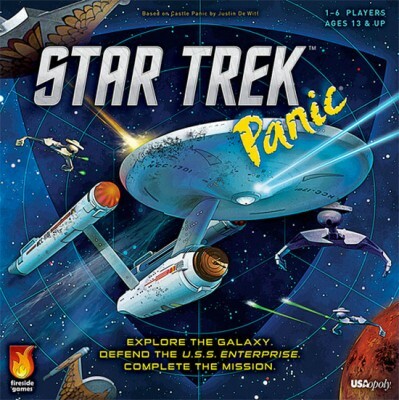 In Star Trek: Panic, players must work together to guide the U.S. Enterprise through its five-year journey. Each player will take on the role of one of the iconic crew members of the Enterprise, each with their own special ability. Each round players will be fighting off threats to the ship, maneuvering the enterprise, and possibly playing cards to try to complete a mission. If the players can compete five missions before the Enterprise is destroyed, they win! 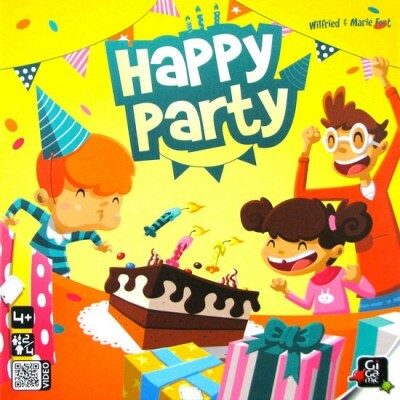 In Happy Party, each player has a wish list of four presents that they want for their birthday. On their turn, a player will roll dice and try to blow out the matching candles. If successful, they can hunt for their presents. The first player to get all four of their presents wins. 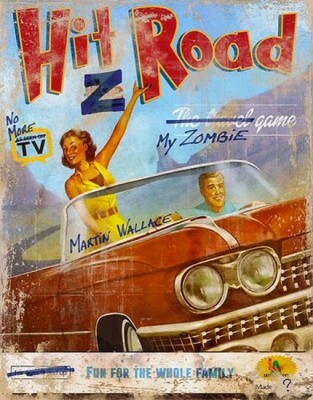 Hit Z Road is an auction and dice rolling game revolving around your group of survivors traveling from the Midwest to Los Angeles while trying to survive a zombie apocalypse. No, I am not making this up as I go. 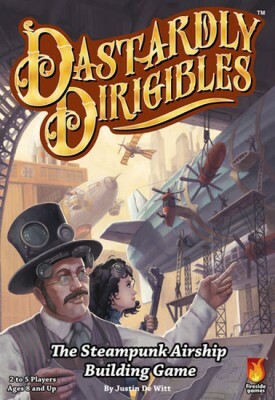 In Dastardly Dirigibles, players are trying to assemble the most valuable airship each round. On their turn, players will be drawing cards into their hand, playing cards onto their airship, or possibly using action cards. A player will earn points by creating their airship with as many cards with matching suits as possible. After the game’s three rounds are over, the player with the most points is the winner. 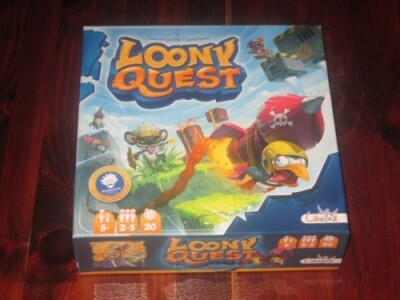 Loony Quest is a drawing game for two to five players. Players earn points by drawing lines and dots on transparencies and comparing them with the objects on the level board. 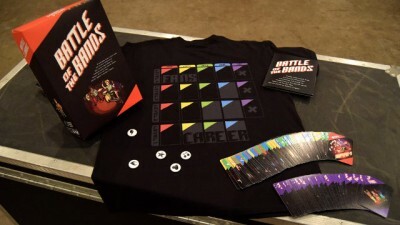 At the end of six levels, the player with the most points is the winner. Each player receives a mat, a transparency, and a dry erase marker and chooses a scoring token. Players choose from one of seven worlds, and players begin. 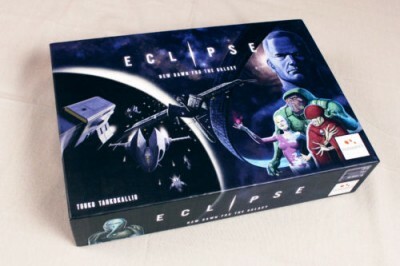 Eclipse is a 4x game set among the stars. 4X: Expansion, Exploration, Exploitation, and Extermination. Players will start with tiny empires and build their way into massive, sprawling federations as they spread across the stars. They’ll need to build up production and science in addition to a sustainable economy so they can advance their technology and build powerful ships that can compete in the galactic arena. Otherwise, they’ll risk being cut off from the rest of the galaxy, or worse, wiped out completely. Battle of the Bands relives the dream of every musician. You'll start small, with only your passion to fuel you and you'll buy equipment, practise your riffs and blend styles to go on tour and gain an army of loyal fans. 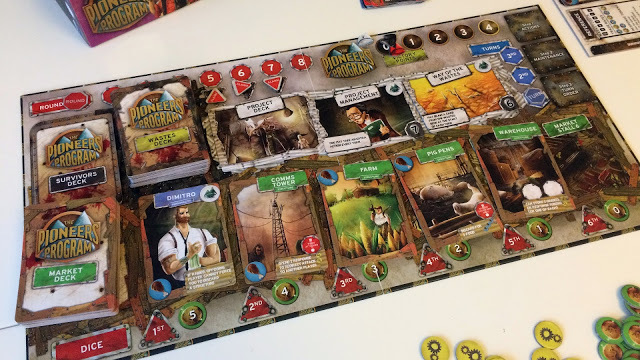 As part of the Pioneers Program you have been sent forth from the Arc to build a settlement and bring wealth and prosperity back to the wasteland, and to do this you'll need to accumulate four victory points or have the most victory points at the end of the game. The Pioneers Program has a variable game length but you'll always have two full rounds before the game ends, so there is a sense of urgency yet at the same time you have the opportunity to put one final plan into action. Pocket Quest is a 6mm Dungeon Crawl game produced by Perfect 6 Miniatures and The Miniature Architect. As you first look at it, this game is a thing of beauty. It comes in an MDF box which is just over 6? square – this doubles not only as the game box, but also as a ‘Boss’ room in the game. theMCGuiRE review takes a look at Oh Gnome You Don't by Gut Bustin' Games. this is really a fun little classic path or track game. Its not your standard roll and move - there are some nice mechanics laid in that really make the game very fun to play. Love the artwork and simple but fun game play. Well done. 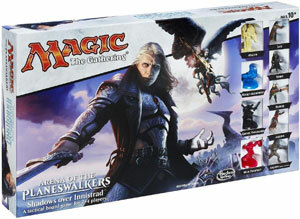 Shadows Over Innistrad is the second expansion for Magic the Gathering Arena of the Planeswalkers. It adds more creatures, spells, terrain and scenarios.